Even villains need a little love sometimes. The video was originally imported from Nico Nico Douga, and uploaded to YouTube by this guy. Author M.F. 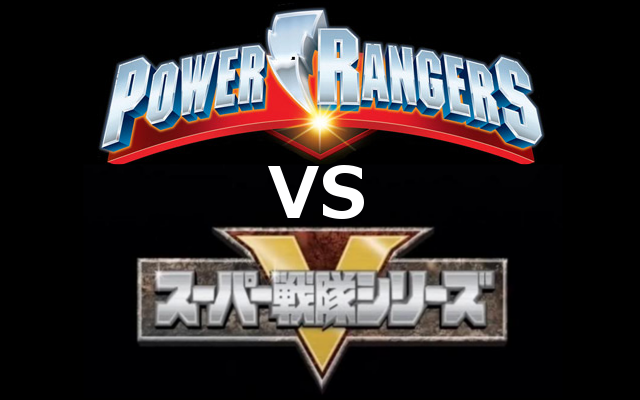 CalhounPosted on July 15, 2011 Categories Who Knows, Who Cares?Tags Kaizoku Sentai Go-kaiger, Nico Nico Douga, parody, Super Sentai Hero Getter, villain, YouTube2 Comments on Super Sentai Villain Getter? Awesome MMPR Theme Cover on Violin: Morphenominal! Nothing about this video is not awesome, so decreeith M.C.! Go check out her YouTube page, she has a lot of violin and piano covers of other poular theme songs. You name it, she’s done it. Author M.F. CalhounPosted on July 14, 2011 Categories Who Knows, Who Cares?Tags cover, lara6683, Mighty Morphin' Power Rangers, theme song, violin, YouTube1 Comment on Awesome MMPR Theme Cover on Violin: Morphenominal! Okay, so a video has surfaced on YouTube supposedly of the sounds the Astro Switches make during Fourze’s henshin sequence. You can check that out here: http://youtu.be/wEchhOLm8IE Sorry, can’t embed the video, that part was disabled. It sounds like it could be the real thing, that maybe they tweaked the audio from the press conference. When you listen to it, you can hear other sounds underneath the henshin sounds. And for those who do click the link and listen to the video will notice how metallic sounding it is. There are some voices singing, but that’s so incomprehesenible that you you can’t tell what they’re saying. It’s all very techno. I guess that would match the whole “Astronaut” theme, but it still sounds very strange. As you can imagine, a lot of people made Portal jokes in the comments section of the video. Until either the driver itself comes out, or someone manages to leak the real sound onto the web, we can’t really confirm if this is it. We’ll just have to wait for confirmation on this one. Go-KaiSilver Debut: Meet the newest member of the crew. When Go-KaiSilver changes, he places a variation of his RangerKey into the Go-KaiCellular, pushes the Go-KaiSilver icon on the number pad, and hit s button on top of the device, where an anchor-shaped scanner reads the figure and changes him into Go-KaiSilver. The device also comes with an anchor shaped key that inserted into the bottom that allows him to change into Go-KaiSilver Gold Form. While no one really knows if this second form will give him any extra abilities, it does look cool. In gold form, he will have special armor that includes a chest plate decorated with the helmets of the previous sixth senshi he can change into, and his helmet design changes as well. You can almost make out the kanji for gold in the visor design. So, first impressions. In his standard silver form, his appearance is very reminiscent of BoukenSilver, and not just because their both silver, either. Because all of the Go-Kaiger have gold inlay decorating their costumes, his costume doesn’t seem that different from the others. The only real difference seems to be in the design of the helmet, the cuffs, and the collar and seams of the “jacket”. Not to mention the fact that his visor is a gold color instead of the standard black. In his special gold form, his appearance is like a cross between Kamen Rider Decade’s Complete Form and Zuban from Boukenger. A lot of people are surprised to see this extra form, but I think it’s fitting. Between these two forms, his appearance covers the two main types of sixth senshi: the kind that have a slightly altered outfit, and the kind that have an armored, highly decorated outfit. Between the differences in his outfit and the anchor motif, this makes me wonder whether this is supposed to be a pirate character or not. I’m almost getting a sailor vibe from him. A number of people have voiced questions and complaints over the choices of the sixth senshi. The main ones are that Mask X-1, who is the first official sixth senshi despite a one episode appearence, wasn’t included, neither was Bull Black or DekaMaster. And some people think that GoseiKnight shouldn’t have been included because he technically isn’t a normal senshi, although I think he should be, as much time as he’s spent fighting with the Goseiger, and the fact that he has a name that actually has a Goseiger title, and not some off-the-wall name. Plus, there are a host of other senshi that weren’t included as sixth senshi, and a number of non-sentai and non-senshi helpers that haven’t even been acknowledged, so there’s a very, VERY slight chance that there could be either a seventh senshi or some kind of special helper that will take the place of these extra senshi. My only concern is why the buttons for Go-onGold and Go-onSilver are the same button? Does he magically split and change into Go-on Wings? (It would be so awesome if he did) Seriously, what are they going to do about that? And as for the Go-KaiCellular, it’s a little unconventional. Instead of the staple flip phone design that’s been in use since the first cell phone changer, they went with a smartphone-esqe design. I would compare it to a Nokia phone, but it has a much wider “screen”, kind of like the Droid Pro. I’ll admit though, while the concept is unique, I’m not fond of the button design. Because it has all of the senshi he can change into on the buttons, and doesn’t use the same RangerKey system the others do, he’s very limited to the number of senshi he can change into. Overall, I like the phone, and the concept. I hope the character behind the mask is just as impressive as the costume, otherwise I will be beyond disappointed. Quite frankly, if they make him into that strong, mysterious silent type, and not some flamboyant, over-the top character, then I’m just going to have a very long talk with the writers, producers and directors at Toei. And while I’m there, I may just have to bring up the subject of net neutrality and fair use. I honestly can’t think of anyone with the gall to upload any upcoming episodes of the series onto YouTube. Somebody get on that right now! UPDATE: (2/25/11) Just found a pic of his main weapon, Go-KaiSpear. It has three modes, a trident mode, a blaster mode, and a special anchor-spear mode that he uses in his Gold Form. It looks like it will also come with the Dragon Ranger Key (Zyuranger/MMPR Green Ranger). Let’s keep an eye out for this! 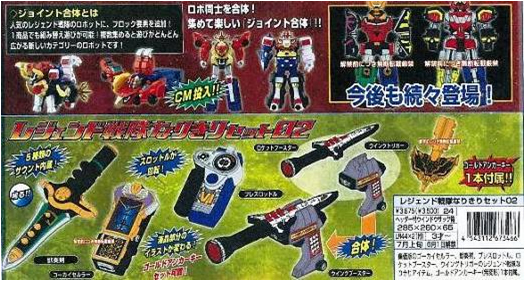 UPDATE: (3/7/11) Found this pic just now, seems they will release sixth ranger toys with the Go-KaiSilver stuff. And if you’ll notice, they are going to release ShinkenOh and Daizyujin/MMPR Megazord. So can’t wait for that, even if I probably won’t buy it. Author M.F. CalhounPosted on February 5, 2011 March 7, 2011 Categories MC's postsTags Abaranger, Boukenger, Dairanger, Dekaranger, Droid, Gaoranger, Go-on Wings, Go-Onger, Goseiger, Hurricanger, Kaizoku Sentai Go-kaiger, Magiranger, Maskman, Megaranger, Nokia, Ohranger, Shinkenger, Timeranger, Toei, YouTube, Zyuranger2 Comments on Go-KaiSilver Debut: Meet the newest member of the crew. Yay, I’ve had three hundred visits to my website! And, unless my site stats have been lying to me, I may actually have a few regular visitors. So I’d like to thank the 3 to 5 of you that visit my on a semi-regular basis, and the oodles of you that dont’, but you count just the same. And of course, I wanna thank the only people that ever comment on my posts, the spammers. Seriously, people! Could someone other than some spammer please leave a comment on something, I don’t care if it’s good or bad, as long as it isn’t spam I would be happy, cuz I don’t know if I’m doing anything right or not. I also have a ratings system in place, so whenever you want, you can rate my stuff thumbs up or thumbs down. Anyway, to get back to what I was saying before that little tangent, yay 300 visits. A lot of exciting stuff around the corner, the premiere of Power Rangers Samurai is coming up, and apparently they’ll have new episodes premiere sundays at noon. 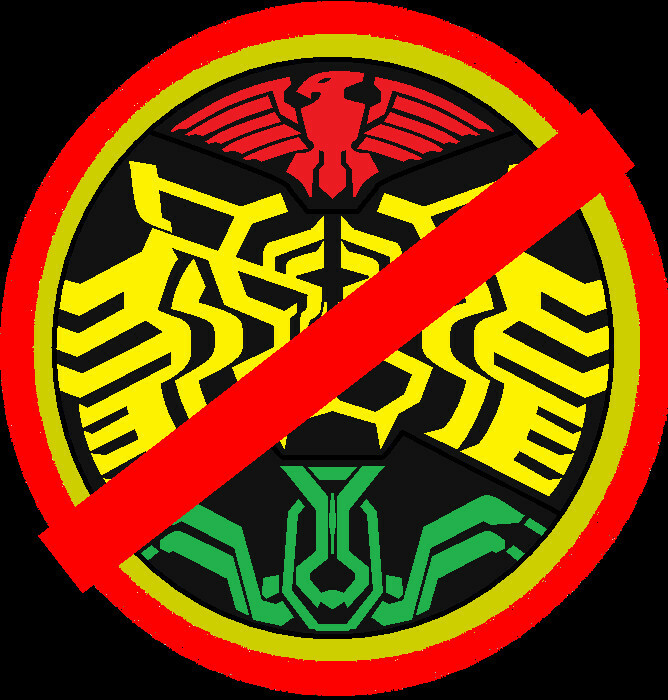 Then the following week Kaizoku Sentai Go-Kaiger preimieres, definitly looking forward to waiting until someone has the nerve to put the first episode up on YouTube. And of course, I’ll continue to try and keep you up-to-date about all things toku. And as promised (for those of you who give a damn), I will soon reveal HenshinHead’s form to you (and he is currently working on a new post, so could you do him a favor and read it, because he doesn’t think anyone reads his posts). Until next time! P.S. : I probably won’t do anything when we get to 400, depending on how long that takes, but expect to party at 500! You bring the snacks, I’ll get the drinks, and we’ll party like Toei just announced that their easing up on subbed videos uploaded onto YouTube! P.S.S. : I just corrected the title, just so you know. Also, today has been the busiest day I’ve had in over a week, so more thanks are in order! THANK YOU! THANK YOU! THANK YOU!THANK YOU!THANK YOU!THANK YOU!!!!!!!!!!!!!!!!!!!!!!!!!!!!!!!!!!!!!!!!!!! P.S.S.S: Seriously anyone else who isn’t just spamming my site, I want to hear from you, and only you. I haven’t approved a new comment in over three weeks, and I would like to hear from a real person. You can be anonimous if you want, just someone who isn’t a spammer, please make the first move, don’t wait for someone else to do it. UPDATE: (2/5/11) 400 visits, only one hundred more to go! Kamen Rider OOO; or, How Toei is being a total d**k and not playing nice. Let me tell you about something funny that happened not to long ago. It involves a series called Kamen Rider, which started in 1971, lasted until 1989, had a period of intermittent attempts to revive the series, and was eventually brought back successfully in 1999, and has managed to last since then. Recently, they transitioned into a new season, from W to OOO, and just about that time, something horrible happened in the land of the rising sun. The Japanese Entertainment industry won their lawsuit with Google and YouTube, thereby giving them the power to remove videos and other content from websites like YouTube and basically anyone else that pops up on a Google search. That might be fine and dandy with them, but its been a living nightmare for anyone that wants to view their videos online. And this has been especially true for anyone trying to see new episodes of OOO. And here we have my main problem. You see, for almost anyone that tries to upload anything new from Toei (or anyone else for that matter), the moment YouTube realizes that they’ve done it, they immediately start sending out threats to cancel that person’s account. Even if they don’t, the longest those videos can be held for is about a week before it can be voluntarily deleted. And even then, in some cases you have to edit out portions of the video, like the intro. And forget about subbing videos, they just sit and wait like vultures for subbed videos. The reason this just outright ticks me off, is because just earlier this year, you could freely move about major websites like YouTube and look up episodes of tokusatsu going back almost forty years, and now you just can’t add anything new without dealing with serious scrutiny. Look, I know there are other sites, other places I can look to find this stuff. I’m even aware of thee numerous websites that provide DDLs and torrents. But this is a matter of convenience. And I don’t understand why that convenience has to be taken away. So Toei and other big production companies haven’t figured out how to make a profit online, that doesn’t mean that they should punish everyone else. Besides, most people aren’t making any profit on these videos when they upload them, nor are they interested in making one. They’re fans who just want to share their obsessions with the world. And you know what, by doing this, by going so far, they undoubtedly hurt themselves in the long run, because there is a larger online foreign fan-base than they think, and without easy access to those videos, that fan-base is just going to shrink, which means a profit loss for them. Oh well, too bad for them. Maybe they’ll wise up one day. In the mean time, how awesome is OOO? Author M.F. CalhounPosted on December 15, 2010 December 19, 2010 Categories MC's postsTags Google, Kamen Rider, Kamen Rider OOO, Kamen Rider W, Toei, YouTubeLeave a comment on Kamen Rider OOO; or, How Toei is being a total d**k and not playing nice.